If it starts at 8:00 AM PST, then EST would be 11:00 AM since the east coast is 3 hours ahead of the west coast. According to my tv schedule, HGTV won’t be showing the parade this year. While I don’t care for Jonathan and Drew I will miss this coverage which has been far superior to the others. They were the best, trying to watch it on network tv stinks, to many commercials! Just found out HGTV isn’t covering Rose Parade! They did the best job! Why aren’t they showing it on HGTV this year? 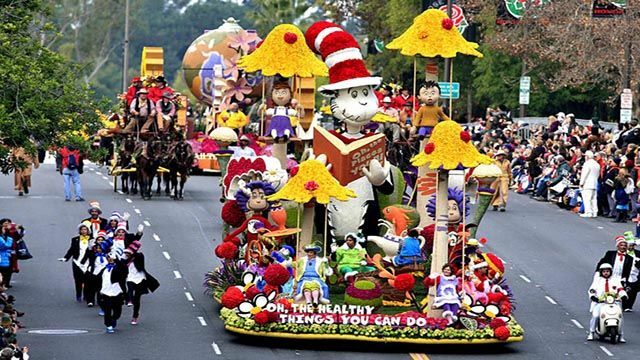 HGTV please come back next year and cover the Rose Parade. Your broadcast was far superior than all the networks. Like Karen119, I too am disapponted that HGTV isn’t broadcasting the Rose Parade.